The Vigilant Class is a new unmanned surface vessel. The Vigilant Class IUSV can carry a payload of 7t. The Vigilant Class Independent Unmanned Surface Vessel (IUSV) can cruise at a maximum speed of more than 30kt. Vigilant Class Independent Unmanned Surface Vessel (IUSV) is being developed by Zycraft, a company based in Singapore. The IUSV is intended for coastal and maritime security missions along the large Exclusive Economic Zones (EEZs). The Vigilant IUSV is primarily deployed in maritime surveillance missions. Other roles include Search and Rescue (SAR), maritime logistics, Anti-Submarine Warfare (ASW) and harbour defence. The phase one development of the Vigilant Class IUSV was successfully concluded in September 2013. 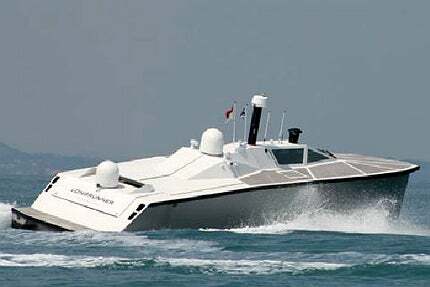 The lead vessel of Vigilant Class, LongRunner, underwent more than 24 months of sea trails in Singaporean waters and sailed about 2,000nmi. "The Vigilant Class IUSV is the only unmanned surface vessel in the world to integrate the Seakeeper gyro stabiliser system." The Vigilant Class IUSV is made of an advanced composite material known as Arovex. The hull, reinforced with carbon nano-tubes, offers superior strength and delivers desired speeds with less engine power. The lighter platform also allows for carrying of more payload and fuel to enable enhanced range and operations. The Vigilant Class IUSV is the only unmanned surface vessel in the world to integrate the Seakeeper gyro stabiliser system. The system provides outstanding sea-keeping characteristics, particularly at zero and low speeds. The innovative technologies aboard the vessel enable it to conduct operations at sea for long durations. The Vigilant IUSV can operate from base station and a mother vessel as an autonomous craft. The compact dimensions and good sea-keeping characteristics enable the vessel to conduct shore to shore missions. The vessel remains operational even in harsh environments and high sea states. The unmanned surface vessel has a length of 16.5m and a beam of 3.6m. The full load weight of the vessel is 13t. The payload carrying capacity including cargo and fuel is 7t. The Vigilant Class IUSV is controlled through satellite communication systems and can be operated from anywhere across the world. The mission and route planning is prepared at the base station. The sensors fitted aboard the vessel allow the operators to gain situational awareness of the area around the boat. The IUSV employs supervisory control and data acquisition (SCADA) system to control various onboard systems. The vessel can be optionally equipped with manned pilot station. The Vigilant IUSV offers a large modular payload space of 18m³ for the integration of different types of payloads to meet the specific requirements of customers. The payload bay area can accommodate up to 3t of payload. The vessel is provided with a payload frame ensuring easy payload interchangeability and quick loading into the payload bay. "The IUSV is intended for coastal and maritime security missions along the large Exclusive Economic Zones (EEZs)." The payloads are fully enclosed to resist the harsh environments. Dedicated payload modules are provided for maritime surveillance, SAR, harbour protection, maritime logistics and oceanographic research. Each payload can be easily customised according to the mission requirements. The IUSV employs a range of onboard sensors to conduct maritime surveillance. The sensors suite varies based on the customer needs and is mainly composed of Automatic Identification System (AIS), Electro-Optic system (EO), radar, Electronic Support Measures (ESM) and Tethered Aerostat Radar Systems (TARS). The data gathered by the vessel is transferred to the Base Command via SATCOM. The SAR version integrates a special radar, EO system and transponder locators. The ASW variant is fitted with a towed active passive sonar array for conducting unmanned ASW missions. The harbour defence variant is equipped with retractable sonars, radar and electro-optics, as well as sensors for search, track and identification of underwater objects. The Vigilant IUSV is powered by two Yanmar diesel engines generating a total power of 960hp (706kW). The USV carries 5.5t of fuel, which constitutes 40% of the full load displacement. The power plant provides a maximum speed of more than 30kt. The IUSV has a range of 1,500nm and can endure at sea for more than 30 days. The Amazonas Class Offshore Patrol Vessels (OPVs) were introduced into the Brazilian Navy under the PROSUPER programme. The Saryu Class Naval Offshore Patrol Vessels (NOPV) are indigenously designed and built by Goa Shipyard, for the Indian Navy.